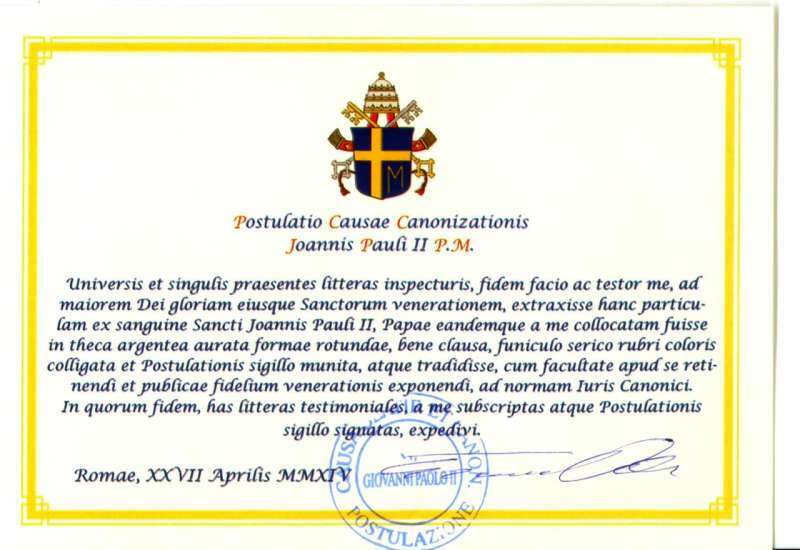 In May of 1981 papal travel protocol was changed with the assassination attempt of Pope John Paul II. Because of the Pope’s rare blood type there was concern of a shortage for his needs when he lost so much blood from the gunshot wounds. After he healed his doctors decided to draw his own blood so as always to have a fresh supply in case there was another emergency. So after 1981 everywhere the pope traveled so did a few pints of his own blood just in case. 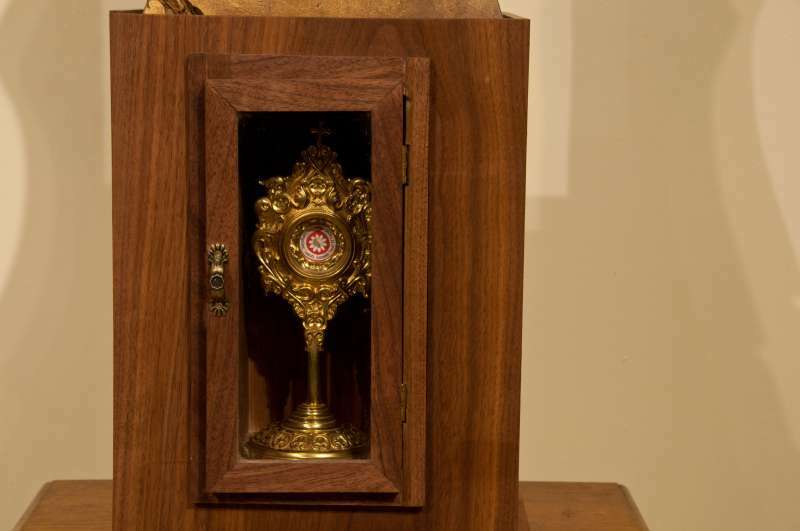 After his death (almost exactly 10 years ago), these spare pints of his blood became relics of a saint. 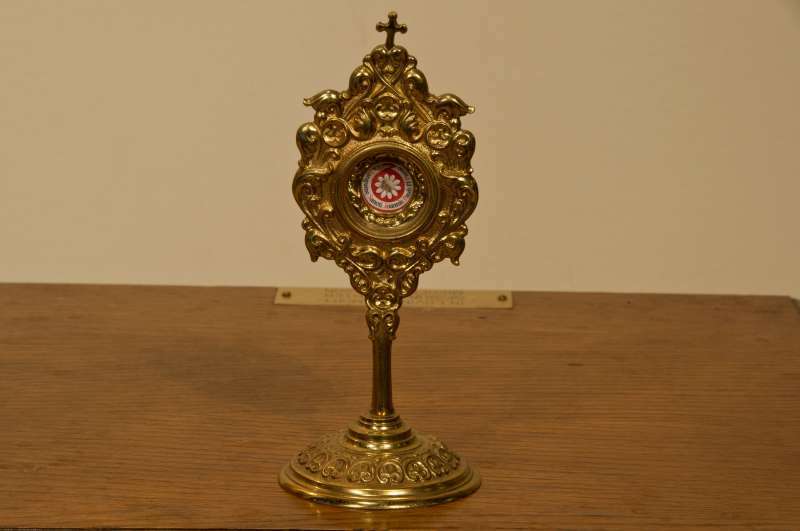 The Church has allowed distribution of some of his blood to various churches and dioceses throughout the world for veneration. 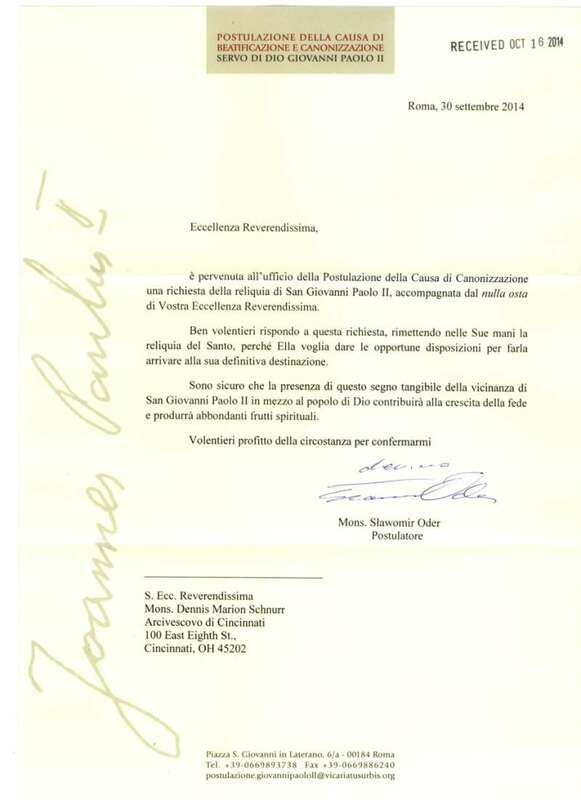 I am humbled to have been chosen to received a relic of Saint John Paul’s blood through the assistance of my friend, Archbishop Schnurr of Cincinnati. The 10th anniversary of the Pope’s death is April 9th. 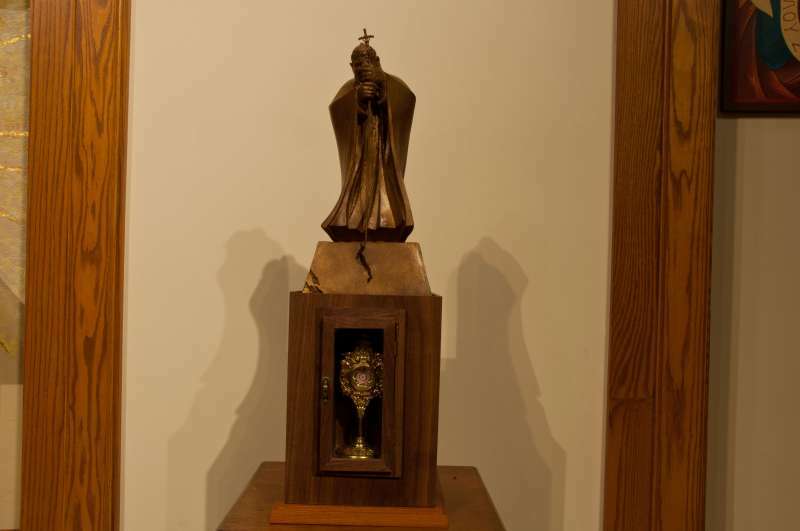 In Duluth, Minnesota, because of the Curator of Papal Artifacts, this relic of Saint John Paul’s blood will be exposed for veneration at his parish. 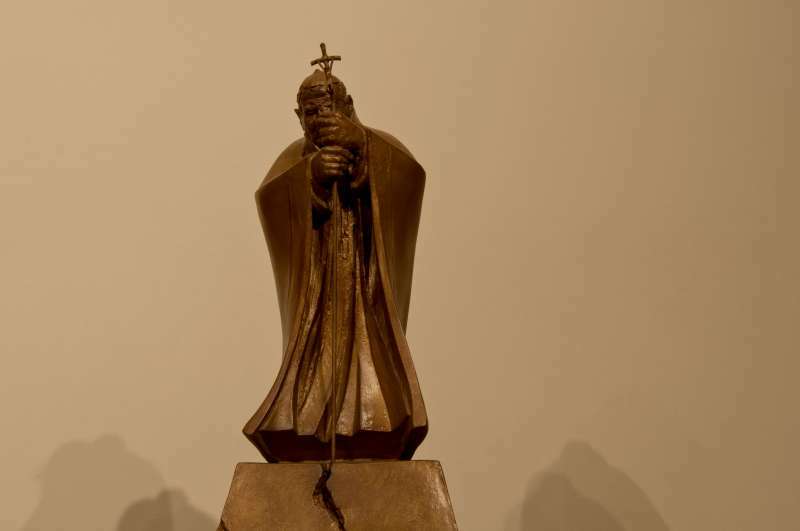 Papal Artifacts extends our gratitude to Archbishop Schnurr and to Father Richard Kunst for their great devotion to this modern day saint and to their abilities to bring him home to us.